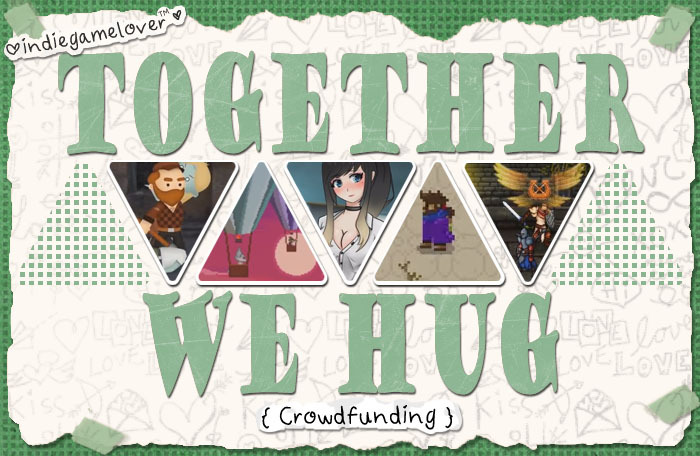 Check out the GIFs and the games of today's fun crowdfunding campaigns and consider helping to hug these indie games into victory. Features: Fables of Talumos, The Final Hours, Every Day's Different, A Horde Too Many, & Sin Slayers. "A top-down, pixel-art, action-adventure game set in a unique fantasy world filled with intrigue, monsters, magic and gods...The story is about a man named Oskar who regularly has very troubling dreams where he must save his wife Aeva from some sort of disaster. The game takes place just after one such dream." "The Final Hours is a story based pixel art RPG game about an ambitious arctic fox that goes on an incredible journey to restore balance to the universe. The young fox and his trusty companion Galik, the time dragon, will venture to different worlds, meeting lots of unique friends along the way." ""Every Day's Different" is an English voiced visual novel that focuses on slice of life with a more realistic depth. It ranges from romance to heavy topics such as eating disorders and self-worth. The people around you will either benefit or suffer due to your actions, so please choose carefully." "Zombies have taken over a post-apocalyptic world. Survivors try to build a safe haven to call home. Collect unique characters and strategically pick your team of apocalypse-hardened badasses to fight through outstanding amounts of undead!" "Sin Slayers is an RPG with roguelike elements set in a dark fantasy world, where your choices determine how challenging the fights and enemies will be. Create, equip and lead a team of heroes."